As a retired construction company owner, Mark Fintel has more than 40 years of experience under his tool belt, including building a series of large custom homes. Now a project manager with Lutheran Church Extension Fund’s (LCEF) Laborers For Christ, Fintel worked for King of Kings Lutheran Church, Gardner, Kan., to build an addition to expand fellowship and outreach – a project both he and his wife, Rebecca, deem far more important than a custom home. 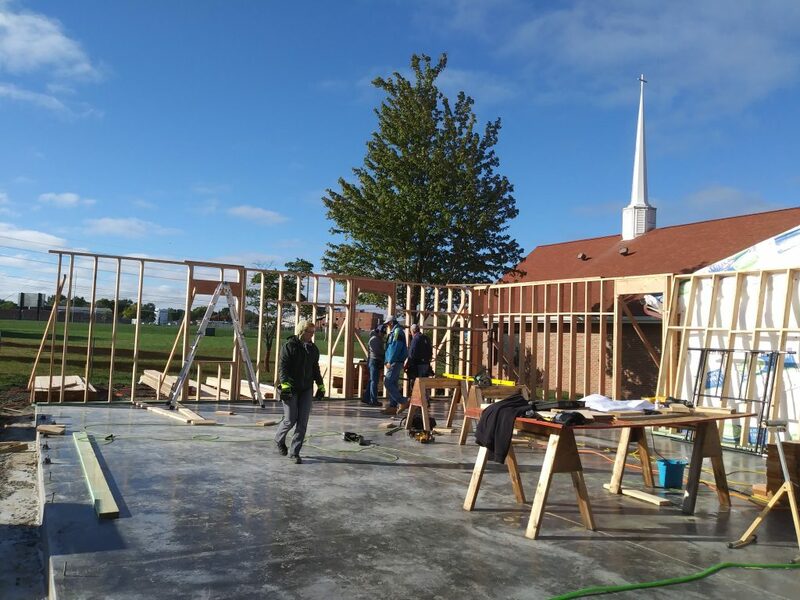 Laborers are helping the congregation build “so the next generation can hear about the saving grace of Jesus Christ,” he said. The 2,000 sq. ft. fellowship center is King of King’s second project with LCEF’s Laborers For Christ, which also partnered with the congregation in 1986 to build the church’s original sanctuary. Congregants back then were “very satisfied,” says building chairman John Klein. Some 32 years later, they’re enjoying that same satisfaction. 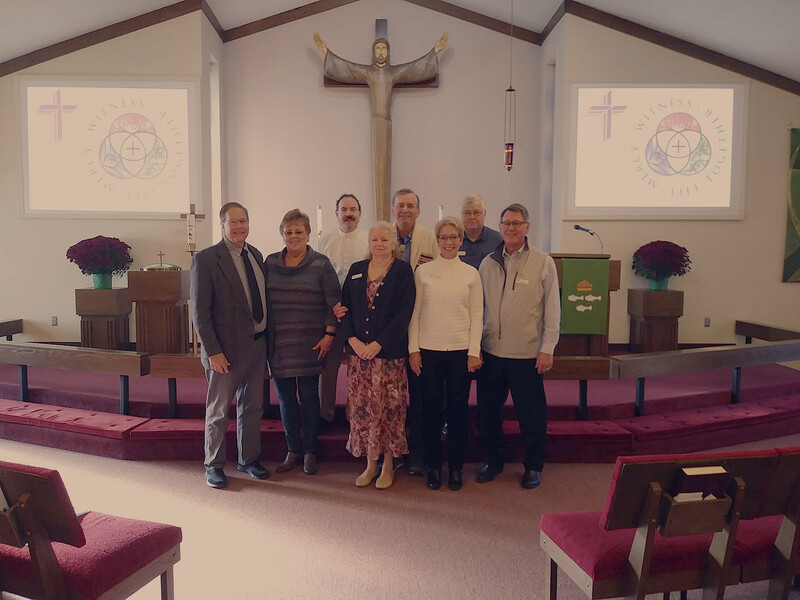 In addition to Fintel, rostered laborers who worked alongside volunteers from the congregation included Keith and Gail Marsh, John Hardy, Mike Crane and Darrell Wehmeier. Wehmeier – cousin of the congregation’s pastor, the Rev. 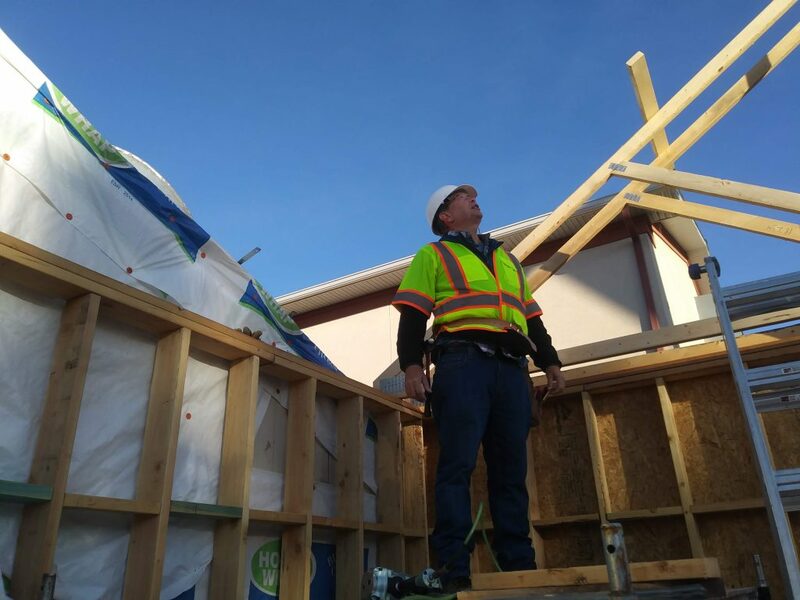 Dan Wehmeier – joined laborers For Christ to lend a hand with the King of Kings addition, making regular round trips from his home in Topeka. “He’s already signed up for another project, later this year in Tennessee,” Fintel said of one of Darrell Wehmeier. For the fellowship center’s design needs, King of Kings again turned to Larry Lisbona, a member of LCEF’s Architectural Advisory Committee (AAC) – professional Lutheran architects and liturgical artists who advise on design, planning, construction and preservation. King of Kings also partnered with LCEF for loan support and an Immeasurably More Campaign to raise funding for the fellowship center, due to open in early 2019. Members hope the new addition will help draw new families in this growing community to the church, much like King of Kings’ popular Open Arms center, which offers Christ-centered programs for infants through pre-kindergarteners plus before and after-school care. Although the Fintels live in Colorado, they are as excited as King of Kings members in Kansas about the new fellowship center. New classrooms mean new spiritual growth opportunities for youth and adults. More accessible open space enables more events for both the congregation and the community. While working on the project, Fintel said he rarely needed to give sub-contractors directions to the church. Often their children or grandchildren attended or had attended Open Arms, so these locals already knew. “It warms your heart that a congregation isn’t dying but growing,” said Fintel, noting the pull of “a good school program” to bring families to a church. In retirement, Fintel says he and Rebecca found their opportunity “to give back.” “It’s so rewarding,” he said of Laborers For Christ. To learn more about King of Kings Lutheran Church, visit www.kingofkingsks.org. 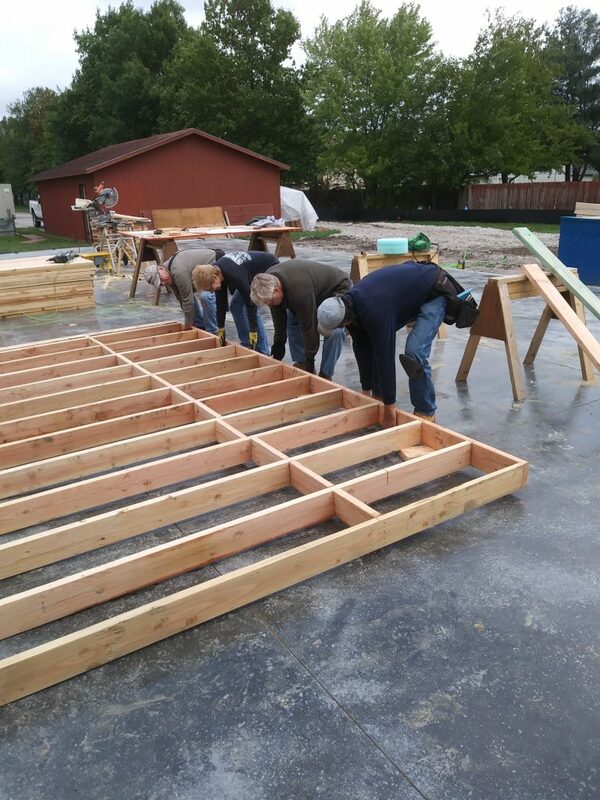 For more information about LCEF’s Laborers For Christ, please call Jeff Herndon, 314-885-6444, email ministry.support@lcef.org or visit lcef.org/laborers-for-christ.